Intimate Performances are a once-in-a-lifetime chance to get up close and personal with musicians, poets, lecturers and more in a restored 1951 Spartan Imperial Mansion. 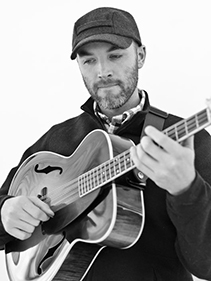 This show will feature Eli West of musical duo Cahalen & Eli, bringing his beautifully accessible bluegrass guitar arrangements to this 37′ trailer. The warmth of Eli’s voice combined with his old country style will make this an evening to remember.